Hello welcome to my story:) . I absolutely love Loki and all Marvel related things. 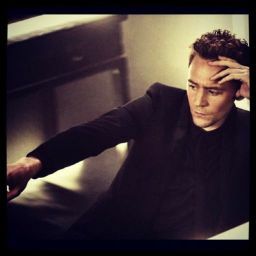 Tom Hiddleston is my imaginary husband and I will forever and always be in Loki&apos;s army. This is my first Loki fan fiction so please feel free to comment anything you please! Remember to vote as well! I sat on the grimy floor of my pitiful jail cell waiting  -  waiting for whatever Odin decided my fate would be. With what I did to Midgard, I assumed it would be death. Not that I deserved it, I was doing those mortals a favor. The only light, that dimly lit up this room, came form a tiny hole in the wall near the ceiling that let in a little bit of the sun&apos;s rays. I breathed in the dirty, musty dungeon air. I hadn&apos;t been fed since I had been locked up and it had been a little over a year. Lack of food would not kill me, but it was most definitely uncomfortable. I hadn&apos;t seen anybody in months and I was beginning to think Asgard had forgotten me and would leave me here to rot. My ebony hair had grown to the point where it reached well past my waist and I desperately needed to bathe. After everything I had gone through to make my mark in history, I was to be forgotten. It was almost like this universe absolutely despised me. I laid my head back against the wall behind me and closed my eyes. I was bored, to put it simply. It had been a dull year with nothing to do but sit here. I could not eat, drink or even speak. 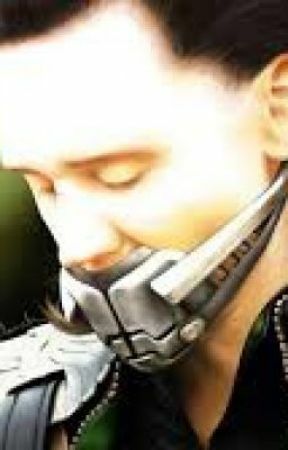 Odin had ordered that I be kept muzzled just as I had arrived in order to keep me from silver-tonguing my way out of prison. As it turned out, Odin had the dungeon enchanted to drain my magic so that I could not attempt to escape anyway. Typically, prisoners are kept up in the palace&apos;s East dungeon. A dungeon that is admittedly more pleasant. I, however, was locked up in the West dungeon, reserved for the most dangerous. This dungeon drained everything. Magic, strength, power...will to live. All I wanted to do was help Midgard. With me as their king, Midgard would have been peaceful. It would have been great. Perhaps it would have been even greater than Asgard. But Midgard rejected my help. They would rather live how they are now. In a polluted world that is doomed to crumble down and be destroyed by a war that they brought upon themselves. Their greed for power would destroy them. All I wanted was to prove to father, no, Odin that I was worthy of being his son. That I was worthy of the throne, equal to Thor. It looks like they will always think me a monster, no matter what I try to do. I was angry. Uncontrollably angry. Unnaturally angry. For some  reason I cannot fathom, when I attempted to take over Midgard, I could not control my anger. It was as if my anger towards Odin and my desire for revenge took over my conscience. I suspected The Other somehow controlled my emotions with the Tesseract, but I still had no evidence of this. I&apos;ve spent hours (since I definitely had the time) thinking over what went wrong, and the only thing that comes to mind was that The Other interfered with my emotional state. That must have been it, I wouldn&apos;t have failed on my own. The God of Mischief, defeated by mere mortals? Bah! I almost didn&apos;t realize I could hear footsteps approaching, coming into the dungeon and walking towards my cell. I opened my eyes and looked up to see Thor standing there with his almighty hammer. I don&apos;t see why he bothered, since the dungeon drained all magic. Mjönir didn&apos;t work in here. He looked no different than when I had last seen him. He was my only visitor for months until he stopped coming altogether. I suspect his conscience was bothering him. After all, he left his only brother locked up and forgotten.